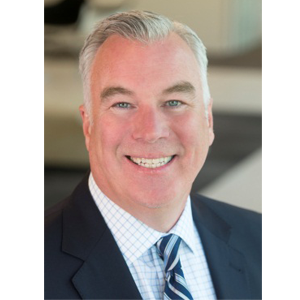 Bethesda, Md., 2015-5-25 — /Travel PR News/ — With plans to expand to 100 hotels this year and add another 50 across nine new countries by 2017, Marriott International, Inc. (NASDAQ: MAR) has named Tim Sheldon as President of its Caribbean & Latin America (CALA) region. Currently the company’s Global Chief Operations Officer, Sheldon will begin his new role in June. The region’s previous President, Craig S. Smith, will be returning to Hong Kong to become President and Managing Director of the Marriott’s Asia-Pacific region, where he previously served as Executive Vice President and Chief Operations officer. Sheldon will capitalize on the company’s rapid regional expansion to drive operational excellence in partnership with the company’s owners and franchisees. Under Sheldon’s leadership as the global chief operations officer, the company successfully rolled out a new global guest satisfaction listening tool, GuestVoice, and launched mobile check-in and check-out, an industry first. Previously, Sheldon was executive vice president for Global Brand Management and Lodging Operations where he was responsible for the oversight of nearly 500 hotels, and also has served as senior vice president and brand manager for the company’s Select-Service and Extended-Stay portfolio, leading Marriott’s entry into the moderate-tier extended-stay space. Marriott International is now represented in the Caribbean & Latin America by 94 hotels in 24 countries and territories, offering more than 24,500 rooms and spanning nine lodging brands: The Ritz-Carlton and JW Marriott Hotels & Resorts in the luxury tier; Marriott Hotels & Resorts, Marriott International’s signature brand; Renaissance Hotels and the Autograph Collection in the lifestyle category; Courtyard by Marriott and Fairfield Inn in the moderately-priced tier; and Marriott Executive Apartments and Residence Inn by Marriott in the extended stay category. In addition, Marriott Vacation Club International, Marriott’s timeshare ownership division, offers three resorts in two countries. Marriott International, Inc. (NASDAQ: MAR) is a global leading lodging company based in Bethesda, Maryland, USA, with more than 4,200 properties in 80 countries and territories. Marriott International reported revenues of nearly $14 billion in fiscal year 2014. The company operates and franchises hotels and licenses vacation ownership resorts under 19 brands. For more information or reservations, please visit our website at www.marriott.com, and for the latest company news, visit www.marriottnewscenter.com. This entry was posted in Business, Hospitality, Hotels, Travel Management, Travel Services, Travelers and tagged Arne Sorenson, Marriott International, Tim Sheldon. Bookmark the permalink.